I received this two-toned forever in my heart necklace at a promotional price in exchange for my honest unbiased opinion. It is extremely stunning and I would have paid full price for this gorgeous piece of jewelry. It comes in gorgeous box that is as eloquent as the necklace it self. Both sides are engraved. 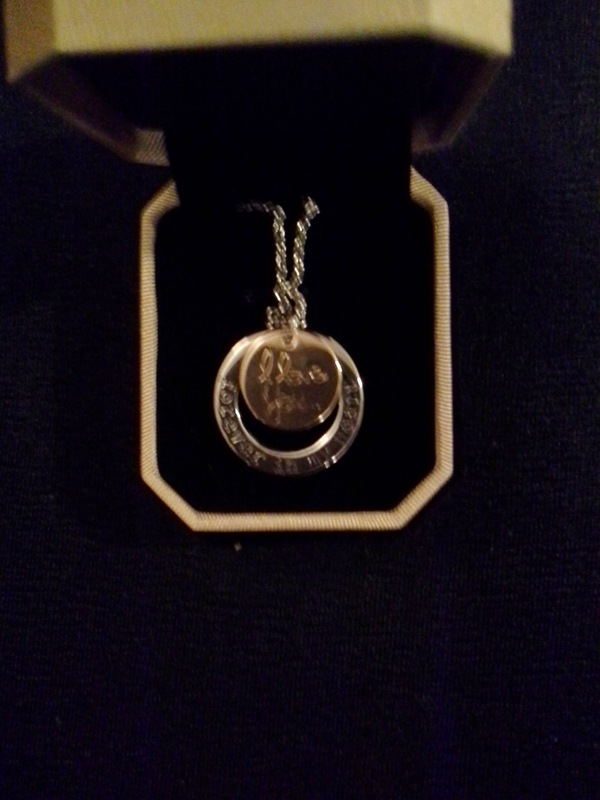 The golden circle engraved with the special words I love you… while the silver-toned circle says forever in my heart. It comes with its own silver-toned chain that fits nicely and adds to this piece’s beauty. This is a great gift for many occasions including mothers day, but also for a best friend or daughter. Could even be a great gift for a sister or your wife.